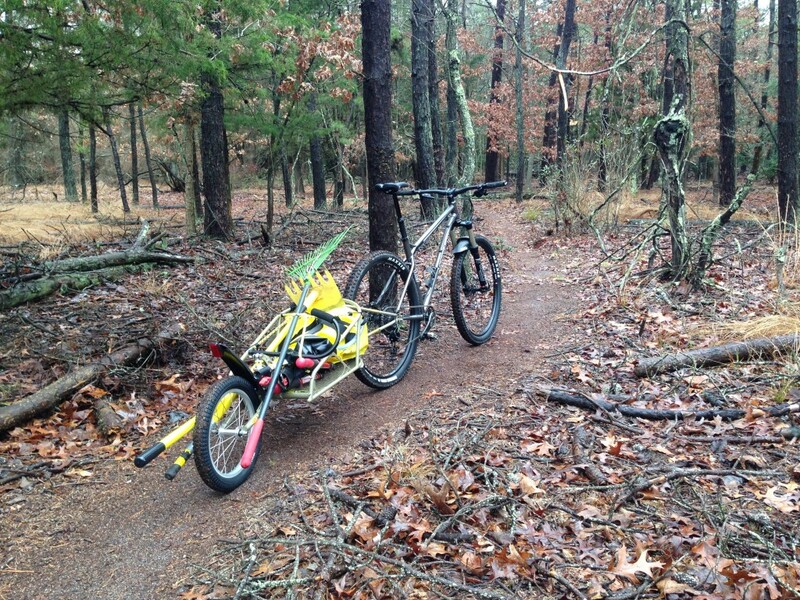 I do a lot of volunteer trail work here in New Jersey with JORBA and often found myself either walking into the woods carrying tools or trying to ride my bike in to the trails with several tools in hand all while trying not to crash. This means only taking the bare necessities. That situation changed recently when JORBA gave me a new B.O.B. Trailer to pull behind my bike. This trailer is pretty nice and does the job well. Having this trailer will allow me to ride in to trails with all the tools I may or may not need. It’s nice to be ready with the tools you may need than have to ride back to the truck for the tool you couldn’t carry with you. How do I attach this trailer to MY bike? The B.O.B. trailer comes packaged with a special QR ready to fit an older style QR 135mm wide axle. I don’t have that type of axle, what now? I have a new 2016 Transition Bikes Trans AM 29r with a Syntace 12×142 rear axle, this won’t work with my rear axle right out of the box. 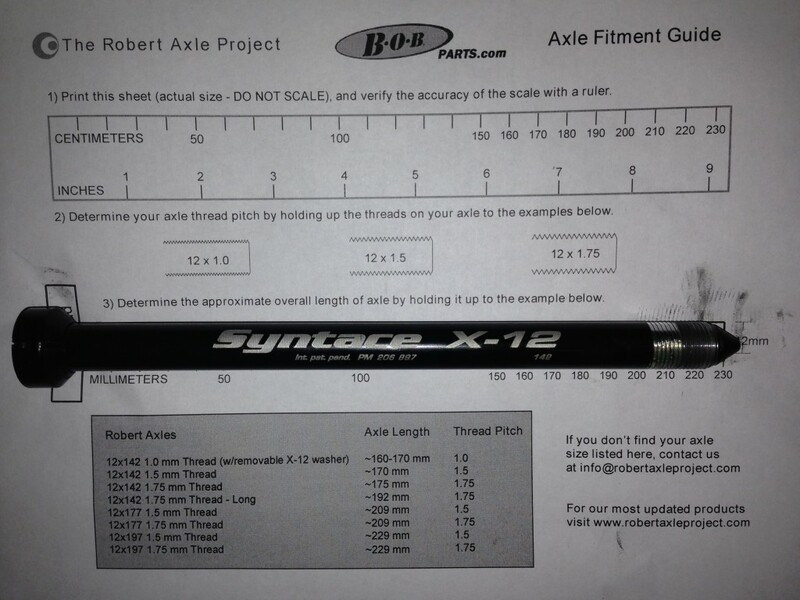 My original axle and the sizing chart from the Robert Axle Project. Chris at the Robert Axle Project set me up with a cool axle that fits my bike and has all the nice hardware to keep the trailer secure during use. 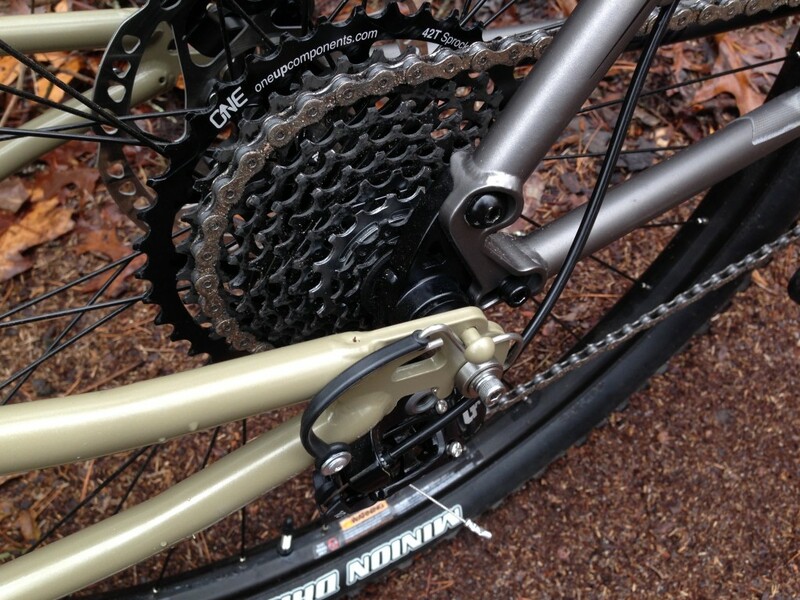 Everything is machined well and serves a purpose. 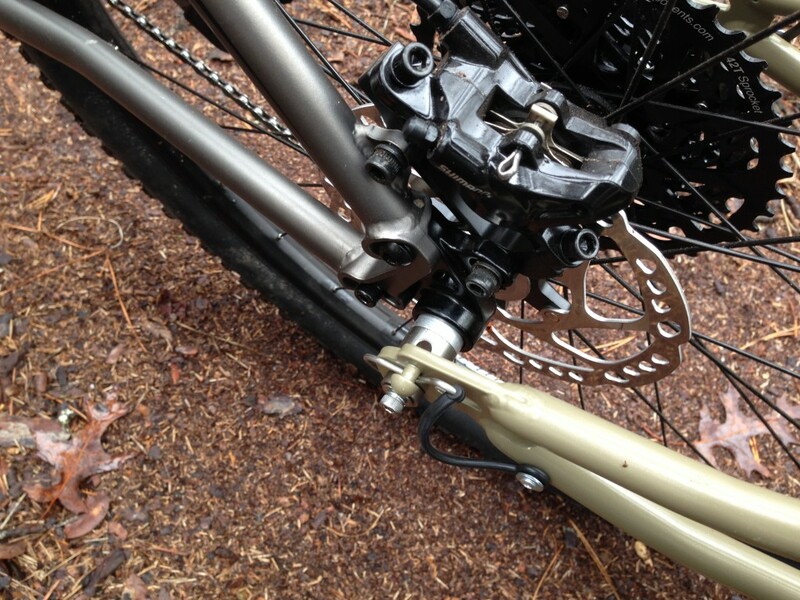 The axle comes ready to replace your original axle and uses the bobbin parts from the original B.O.B. trailer’s QR axle to be able to mount the trailer. You can view videos on how it works here. I’ve used this new axle with the new trailer a few times now and have had no issues. I love how solid everything feels, the trailer fits nice and snug on the axle ends. I’ve run over roots and the trailer was bouncing around a bit but stayed put. The bike and trailer feel as if they are one unit. This set up is a time and energy saver! So if you are thinking about getting a B.O.B. Trailer and have a newer bike with an axle other than the hollow QR style axle, check out the Robert Axle Project website. I’m sure they have what you need.